[dropcap style=”font-size: 60px; color: #9b9b9b;”]H[/dropcap]einrich Schliemann is regarded as the discoverer of the historical city of Troy. While there are many criticisms about the way he conducted his excavations and about how he used to credit himself with accomplishments he didn’t do, there are very few people who deny his geniality in taking the ancient texts seriously enough to actually go there and start digging. Heinrich Schliemann and colleagues at the Lion Gate at Mycene. One of the reasons cited as having contributed to his discoveries is his distance from the traditional academic career. After his father lost his money, Schliemann had to leave Gymnasium, and go to Realschule (vocational training). This, together with a reasonable fortune acquired in his 20s, gave him freedom to pursue his hobbies, following correlations that appeared him intuitively. Traditional Chinese Medicine was unveiled to the mainstream public in the West during the 1980’s after the reestablishment of diplomatic relations between China and the USA and has pursued scientific validation ever since. 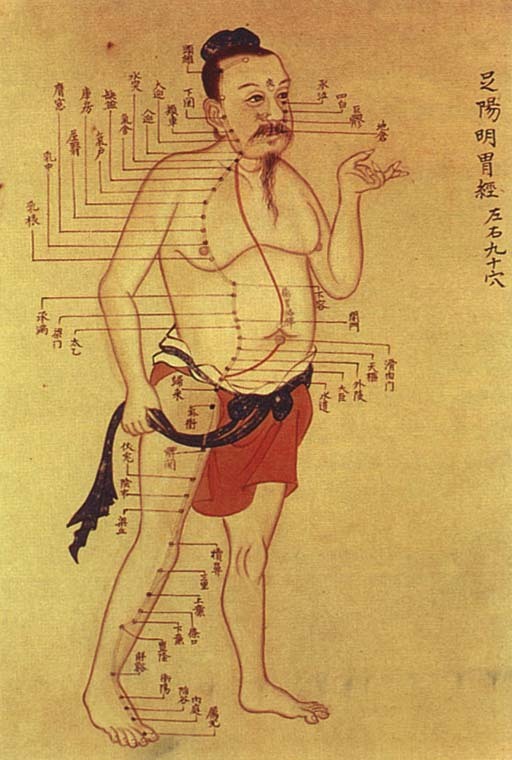 Today, some evidence on the effectiveness of Acupuncture for pain conditions have surfaced(1), but most physicians and scientists still grant these results to the stimulation of local nerves by the needle and more tangible mechanisms, whilst disregarding the whole “life-energy theory” as useless popular belief. An article published in the Journal “Artificial Intelligence in Medicine”(2) used advanced mathematical tools applied to massive quantities of data and found what was regarded as a non-obvious correlation between two medical conditions- Asthma and renal failure. After careful and systematic scientific work, the authors offered a plausible drug-related side effect explanation for the phenomenon. This particular relationship between Asthma and renal lesion has long been reported in traditional Chinese texts where the inspiration, reception and fixation of the life-energy (Qi) acquired from the air is ruled by the Kidney whereas the expiration would be governed by the Lungs. As was the case with Heinrich Schliemann, the opportunity to pursue links unveiled by open-minded observation without the influence of pre-acquired knowledge led to the discovery of valuable information; and in both cases, modern science came to terms with ancient wisdom. Amongst fear of cyborg Armageddon or AI computers enslaving mankind, or, even worse, a chatbot misunderstanding your pizza order, this discovery comes as a sign that in the near future more ancient precious wisdom- like, say, ethics- may resurface and be validated through solid big data analysis and it’s interpretation by open-minded free thinkers. VickersAJ, Linde K. Acupuncture for chronic pain. JAMA. 2014 Mar 5;311(9):955-6. doi: 10.1001/jama.2013.285478. Vemupalli V, Qu J, Garren JM, et al. Non-obvious correlations to disease management unraveled by Bayesian artificial intelligence analyses of CMS data. Artif. Intell Med. 2016 Nov; 74:1-8. Doi 10.1016/j.artmed.2016.11.001. Epub 2016 Nov 17.